The upgrade to Citrix Virtual Apps and Desktops 7 involves significant architectural, configuration, and platform changes. Considering all the changes involved, the move to Citrix Virtual Apps and Desktops 7 is a full migration, rather than just an in-place upgrade. Ultimately, the success of this upgrade hinges on the experience that users perceive, post-migration. 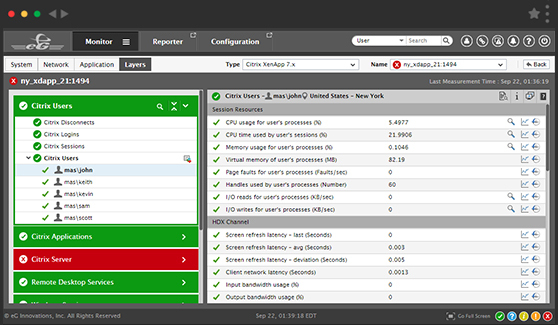 With Citrix EdgeSight no longer included as a monitoring tool in Citrix Virtual Apps and Desktops 7 (Citrix Director now fulfills some of the monitoring needs), there are likely to be several missing capabilities and performance monitoring gaps after migration. To overcome these challenges, organizations must put in place an effective performance management strategy as part of the migration effort. 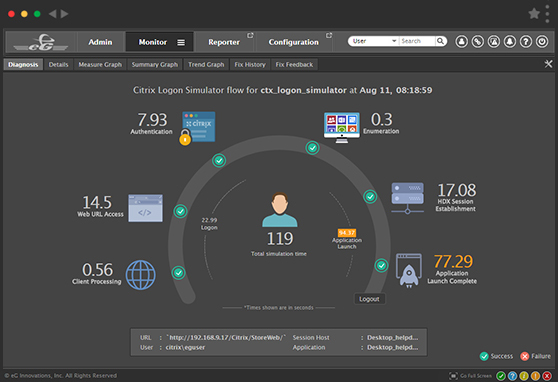 eG Enterprise is a Citrix Ready-certified performance management solution for all types of Citrix infrastructures – physical, virtualized and cloud. 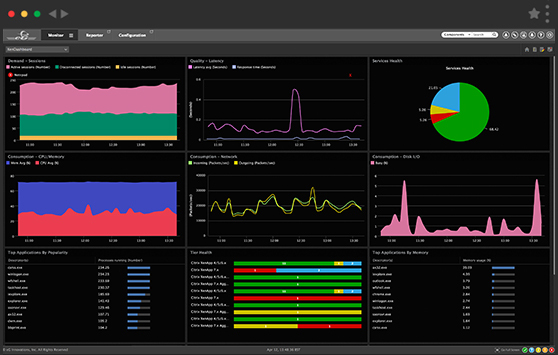 Designed to monitor and report on all the latest Citrix product enhancements, eG Enterprise provides actionable intelligence about performance, user experience, resource usage, and baselines. 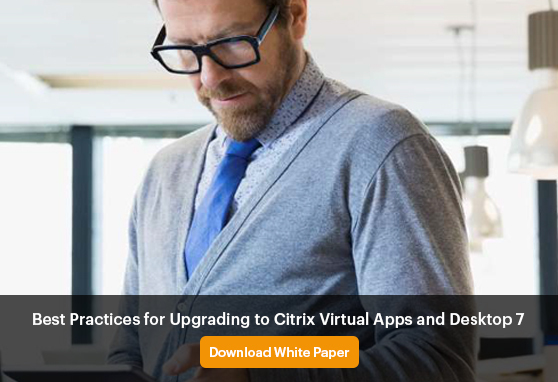 This allows Citrix admins to ensure that applications and desktops are high-performing after the upgrade to Citrix Virtual Apps and Desktops 7 – whether on-premises or Citrix Cloud. Going beyond Citrix: An upgrade to Virtual Apps and Desktops 7 often involves changes to one or more of the following infrastructure components: server hardware, hypervisors, operating systems, and storage. Performance issues in any of these tiers affect Citrix performance. 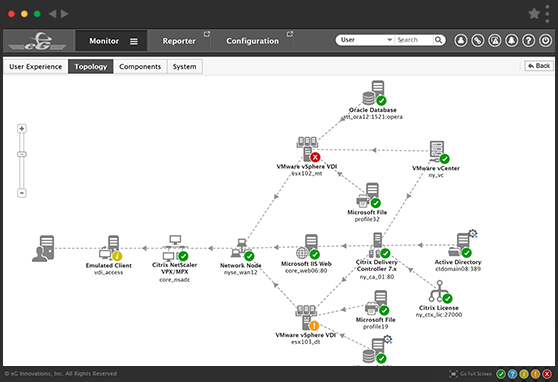 eG Enterprise delivers deep performance visibility into all supporting infrastructure tiers, enabling admins to determine if a bottleneck is due to one of the Citrix tiers or due to one of the supporting infrastructure components. Get single-pane-of-glass visibility and make performance management easier. 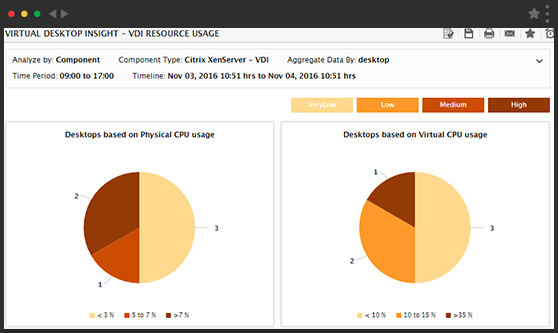 Performance baselines established on the Citrix XenApp 6.5 farm will no longer apply in the Citrix Virtual Apps and Desktops 7 infrastructure. Hence, Citrix administrators will need to re-establish new baselines for all key metrics – sessions, logouts, application usage, resource consumption, etc. 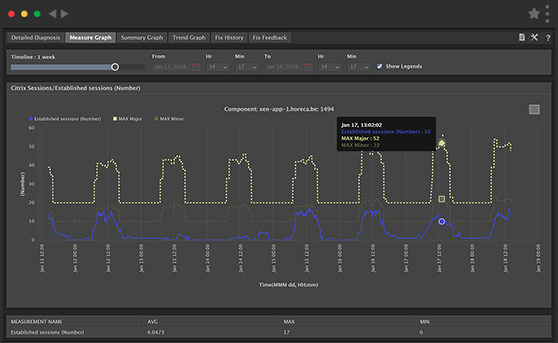 eG Enterprise's machine learning capabilities help automatically baseline usage patterns based on time-of-day and day-of-week patterns. By comparing current metrics with historical baselines, eG Enterprise proactively alerts Citrix admins to performance anomalies.